With so much writing published electronically, I often wonder if word count really matters. Sure, the editor has a length in mind but how important is it that I hit that range? 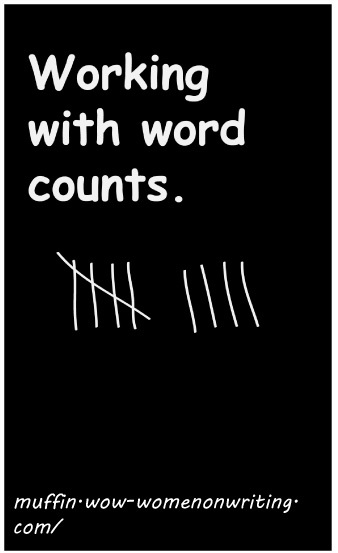 Recently, I read a post explaining why word count is still important. Write too short or too long and you harm your Google rank. A too short piece feels slight and doesn’t impress readers. But a piece that is too long may be skipped altogether by readers on the run. 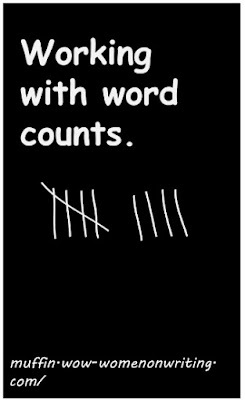 There’s a reason your editor asks for a specific count. She knows her market and what they want. Unfortunately few of us hit the number on the first try and have to massage our work to get it right. Cut –ly words. If you have to modify a verb, you may not have chosen the best verb. Don’t walk quickly. Depending on the situation, scamper or run or pelt. Cut “begin” and “start.” I admit it. Start is one of my downfalls. My characters start to pack, start to study and start to fix dinner. Instead, they need to pack, study and cook. Need to cut even more? Cut repetition. When I want my reader to get a point, I sometimes repeat myself. Most often, one or more of these repeats can be cut. If not cut, they can always be tightened. Cut multiple examples. Especially when I write nonfiction, I sometimes give more than one example of a phenomenon. It’s my way of using all the great information that I’ve found. Sometimes I need more than one example, but most often I should cut the weaker example. Most often, I write too long and have to cut, but that works in my favor. When I cut, I can make sure my piece is tight and professional. One of my writing friends actually recommends cutting 30% from every manuscript. Every now and again, I find that I’ve written too short. This isn’t typical for me but it happens. To solve this I need to beef things up without padding my manuscript. Add a sidebar. Not all publishers want them but sidebars are a great way to include research that wasn’t quite on-topic enough to make the main chapter. Add a chapter. Sometimes I leave things out because I don’t think there will be space. Now is the time to add them but only if I have enough remaining words for a chapter that won’t look slight among the others. Add examples. Instead of telling my reader that World War I trenches were disgusting, I can show it with feces and rats and death. Three or four examples can easily eat through 700 words. There’s a reason your editor wants things to be a certain length even if the piece is electronic. The closer you get to that mark, the happier your editor and your bank account will be. The next session of Sue's class, Writing Nonfiction for Children and Young Adults begins on July 6, 2015. Sue--You shared some wonderful ways to pad as well as cut. Thank you. This is fantastic! I need to print it out and leave on my desk as a checklist when editing my own work. I struggle with the -ly words and "begin" and "start." Thanks, Sue!